We formerly designed A4 printed newsletters which were emailed to the club members each month and uploaded to our site. As we are dragging ourselves into the 21st century we are moving over to digital newsletters. News articles will now be featured our site here, and our events pages have changed slightly from a full list of events to now dedicated pages for Upcoming Events and Past/Recent Events. We recommend you subscribe below to be kept up to date with what's happening in ATMCC. We have been awarded a fantastic certificate from Cancer Research UK to thank and congratulate us for the £350 we raised last year for the charity. 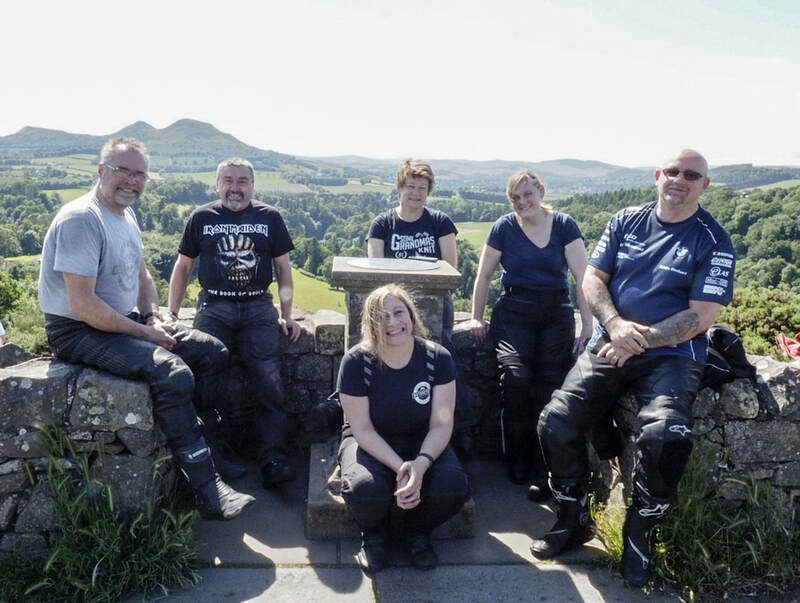 All of our members and fans helped to contribute through our organised raffles, tombolas, show stands, events, ride-outs, Christmas jumper nights, magic and quiz nights etc. We would like to say thank you to everyone who helped ATMCC to support Cancer Research UK throughout the year and contribute towards the funds raised. Another successful year at the Scottish Classic Motorcycle Show at Ayr Racecourse for Ayr Classic Motorcycle Club, well done to all involved. As always, lot's of familiar faces and the bikes on show were stunning. Thanks to all who helped man our stand and those who donated raffle prizes. We were raising money for Little Hearts Matter, this years chosen charity, promoting the club and selling merchandise. We even managed to recruit a few new members so a successful day for all. ...so Gilly can have a lie in. 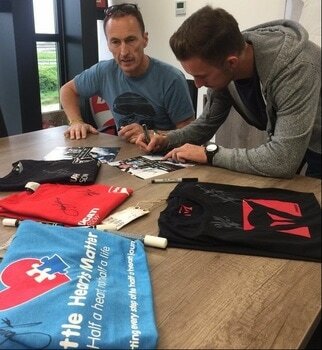 As some motorcycle industry celebrities were in town recently, one of our members took the liberty of asking for some signatures on a t-shirt from our chosen charity, Little Hearts Matter. This t-shirt has now been signed by former MotoGP racer and legend Jeremy McWilliams, Moto3 World Champion John McPhee and World Champion Stunt Rider, Kevin Carmichael. We may decide to use this t-shirt in an auction, raffle or sponsored prize, with the intention to raise money for Little Hearts Matter. This was a weekend run which left at 9am on Saturday 27th May with several stops for coffee, photos and food reaching Skye around 6pm. The Sunday itinerary included visits to ruined castles and viewpoints and a run around the island. Some members left on Sunday, others headed homeward on Bank Holiday Monday (29th May) via the Armadale - Mallaig ferry. Every year ATMCC attends the North West 200, a road race between the towns of Port Stewart, Port Rush and Coleriane in May. One of our members, Dreamweaver has written a run report. "This year I decided to do it differently. 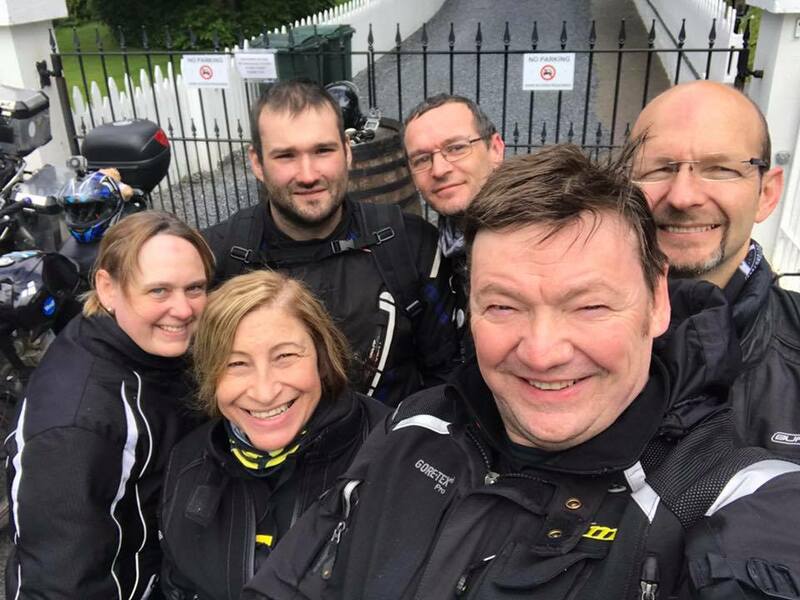 I volunteered as part of the Media Team so I could get up close and personal with the riders, network with industry leading professionals and learn about the structure and set up of road racing events. And that’s just the beginning of what I got up to…"
You are automatically subscribed to our newsletter once you become a member of ATMCC. The newsletter is free of charge and is sent out via email at the end of every month. We won't send you daily sales emails or try to promote anything to you. If you have anything you would like to be included in the newsletter for example an event, notification or invitation then please email the newsletter editor directly here. If you would like to receive our monthly newsletter please subscribe here. It's free and we won't send you daily sales emails either.